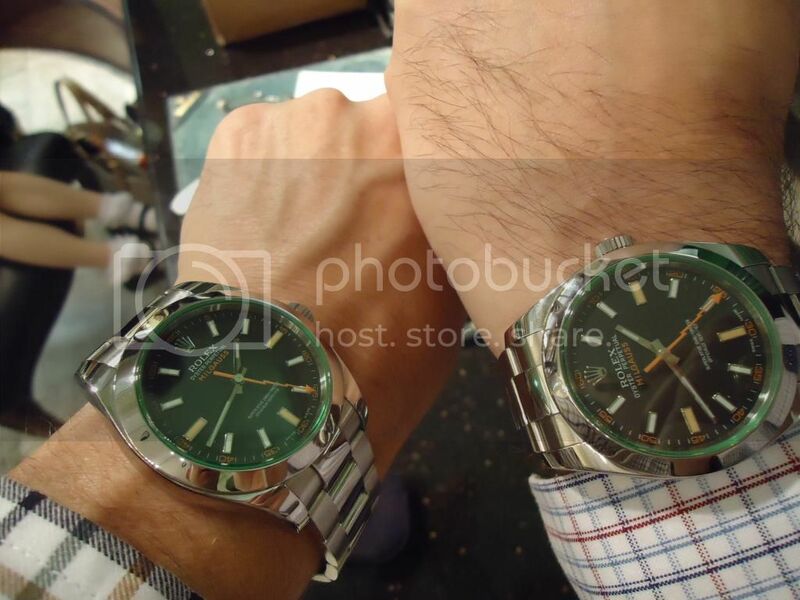 TimeZone : Rolex - Modern » New Arrival of long-time grail-114060!!! All, Happy Holidays to all of you in WIS land. I am very happy to share today's purchase of a major grail for me. 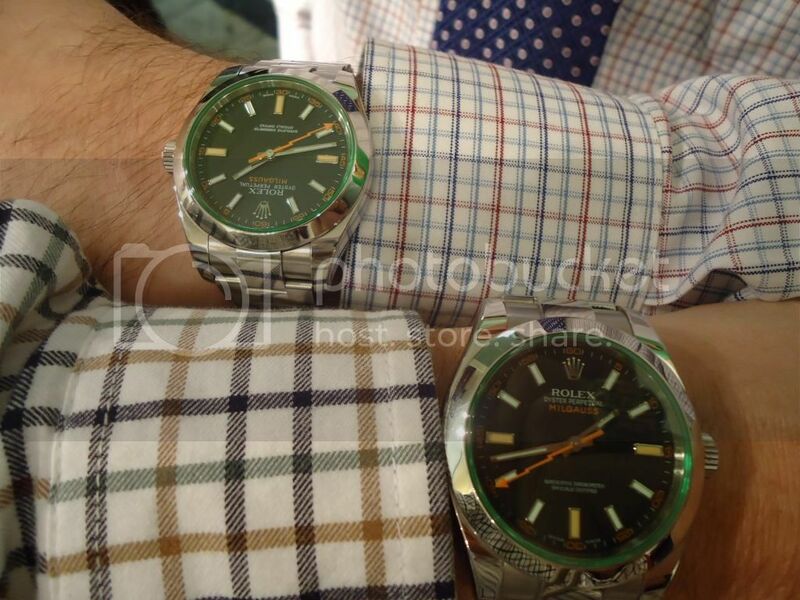 I have a definite preference for the Rolex non date models. However until today, I was missing probably the very best example! I have been looking at the ND sub for many years and after it was updated at this year's Basel, I immediately called my AD and have bothered him and his family ever since to get one in for me. Given a major work transfer and family move and all that goes into that, I had to pass on the first two NDs he received (nearly killed me BTW:-) but got the third!! I really, really like all the upgrades and will give a more detailed account later once I am more objective in my assesment. As of now, I am simply over the moon with how the 114060 looks and feels. Anyway, here it is. I have also attached a couple of pictures of my and my good friend's Milgausses together. I wore mine to pick up the Sub and he was wearing his as well. 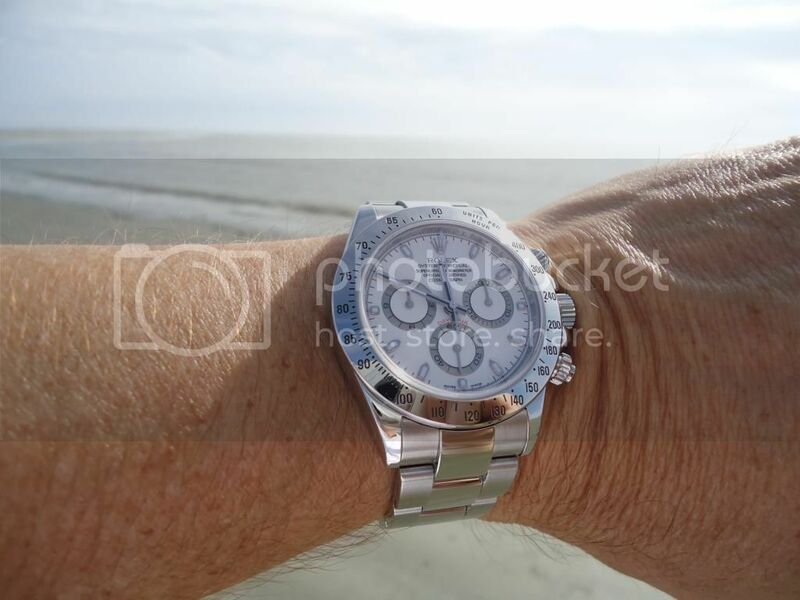 One last picture is of my white dial SS Daytona with the Atlantic Ocean in the background. As I said, we very recently moved and find ourselves less than a mile from this wonderful playground! All the best. I will post a SOTC soon.